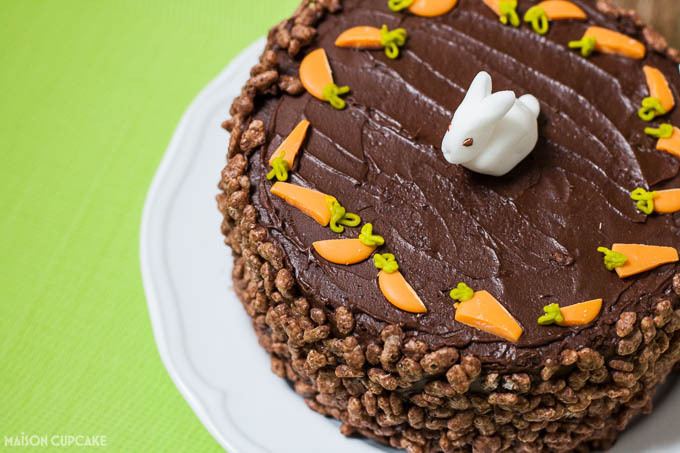 Here’s a fun chocolate cake for Easter decorated with moulded chocolate paste “bunny bums”. Recipe post commissioned by Dr. Oetker. Is the rabbit unique in being the only animal with a cute bottom? It must be those bobtails because we never gush over dogs’ and cats’ bums in the same way. 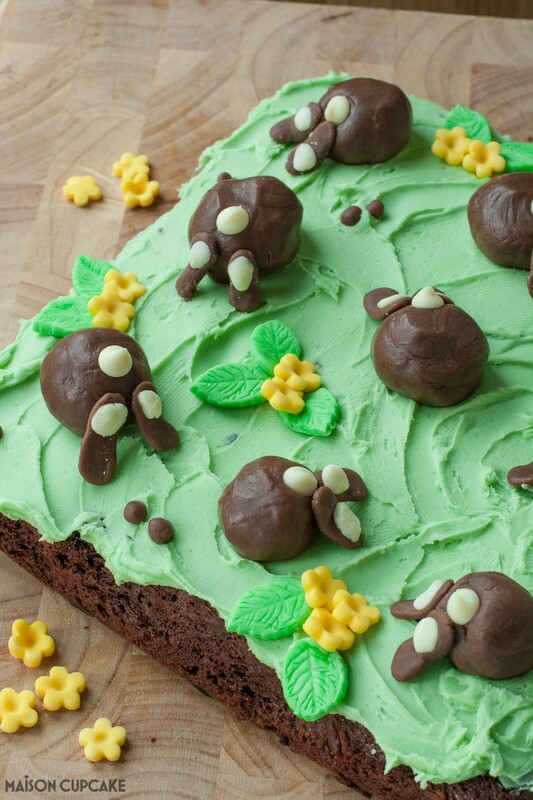 In explicably, even rabbit poo is cute as I have celebrated before in my Easter Rabbit Poop Cake. 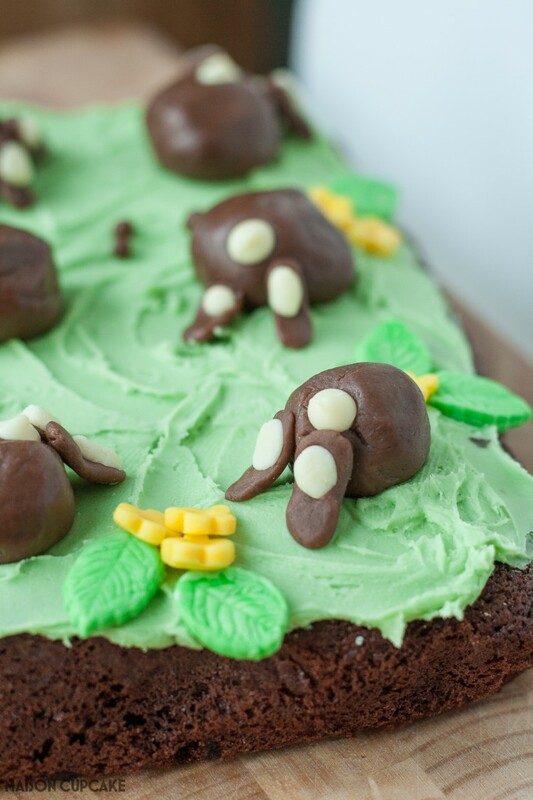 This year I have joined Dr. Oetker to make my own version of their bunny bum cupcakes and come up with my own traybake cake masquerade as field of bunnies with their cute bums in the air. And of course where there are rabbit bums there has to be a bit of cute rabbit poo too. I couldn’t help myself and as you’ll hopefully agree it adds a note of realism to this scene. There was a huge bunny bum on display in London last week much to the amusement of passers by. 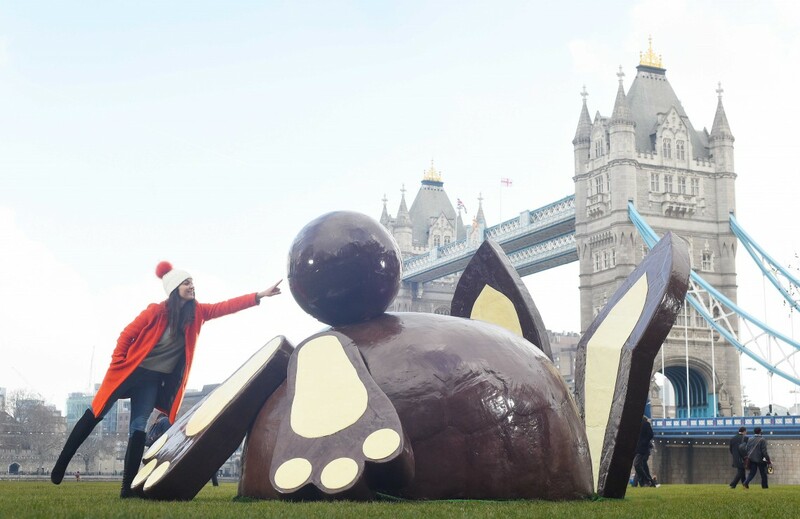 Baker Juliet Sear spent 110 hours creating this gigantic bunny bum from 3000 panels of Dr. Oetker Fine Cooks’ Chocolate. Here’s how I got on making my bunny bum cake in this video posted on Snapchat. I’m new to Snapchat do please come follow me there @maisoncupcake as ever. If you would like to make Dr. Oetker’s version of the bunny bum cupcakes then the original recipe is on their website, alternatively here is my version here with step by step pics then a printable copy below. 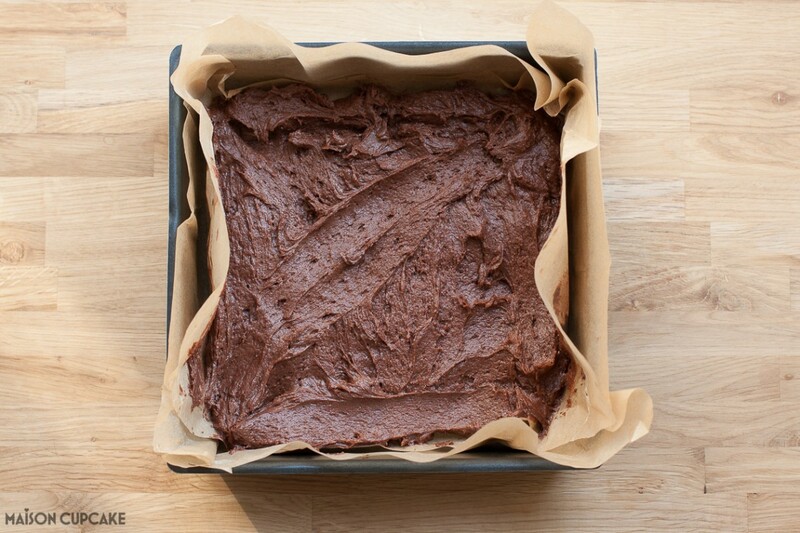 Bake a chocolate sponge cake in a square tin lined with baking parchment paper. When the cake is baked, set aside on a rack to cool down. 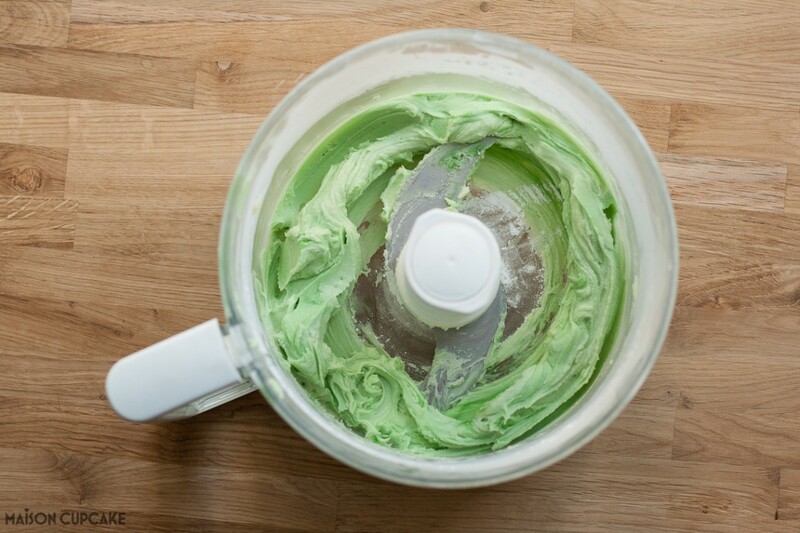 Meanwhile whip up a batch of pale green buttercream using Dr. Oetker lime green gel food colouring. 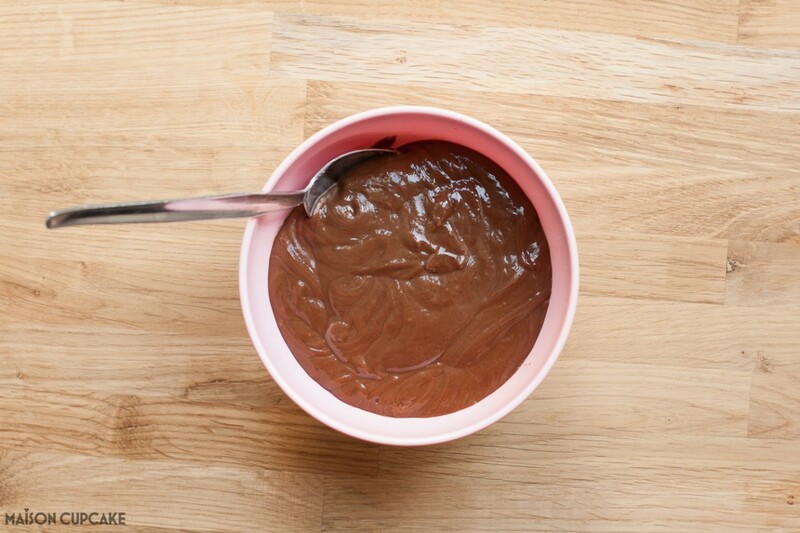 Melt some Dr. Oetker fine cooks milk chocolate and mix with their liquid glucose. Do the same with some white chocolate and spread the mixes out on some non stick baking parchment paper to cool down. Meanwhile spread the buttercream on top of the cake. Swirl it about a bit to look pretty! Mould the bunny bums from big balls of the milk chocolate paste and use white chocolate paste for the paw pads. Use whole white chocolate chips for the bobtails. Cut leaves and flowers out of sugar paste tinted green and yellow respectively. Finally scatter some tiny pellets of chocolate paste for those all important cute bunny poos and serve! 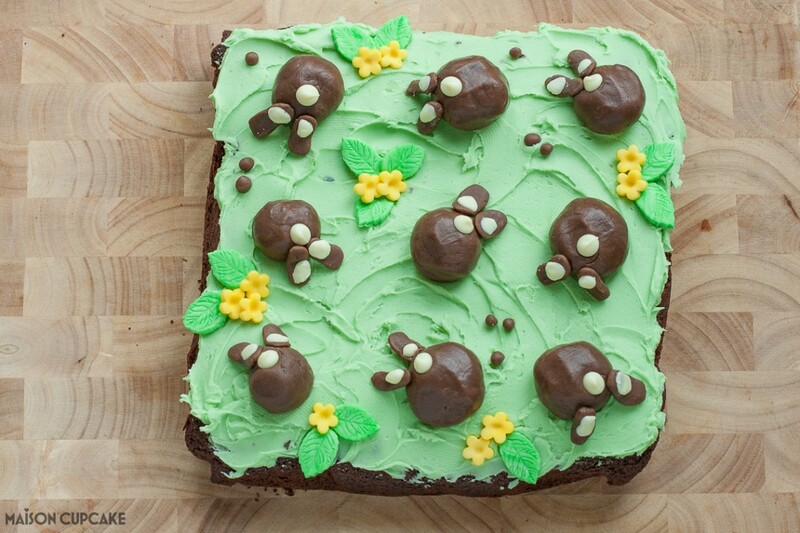 An Easter themed chocolate cake decorated with bunny bums made from pliable chocolate mixed with liquid glucose. Preheat the oven to 180?C (160?C fan assisted oven, 350?F, gas mark 4). Line the baking tin with non-stick baking parchment paper. Put the margarine in a mixing bowl, add the caster sugar and eggs. 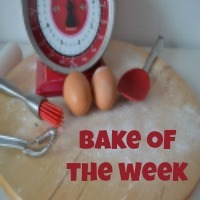 Sift the flour, Cocoa and Baking Powder on top and using an electric whisk on a low speed, gently blend the ingredients together. Increase the mixer speed and whisk for a few more seconds until well mixed. Spread the mixture into the tin evenly. Bake for about 15 minutes until risen and just firm to the touch. Transfer to a wire rack to cool. To decorate, break up the Milk Chocolate into pieces and place in a heatproof bowl over a saucepan of barely simmering water, and leave to melt. Remove from the water and stir in 125g (4 ½ oz) Liquid Glucose to form a thick paste. 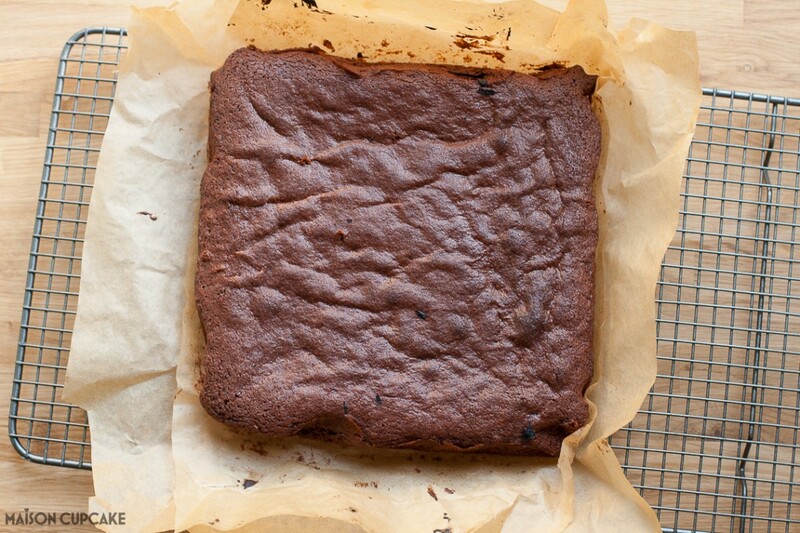 Scrape on to a piece of baking parchment and leave to cool – the mixture will become firm and pliable when cold. 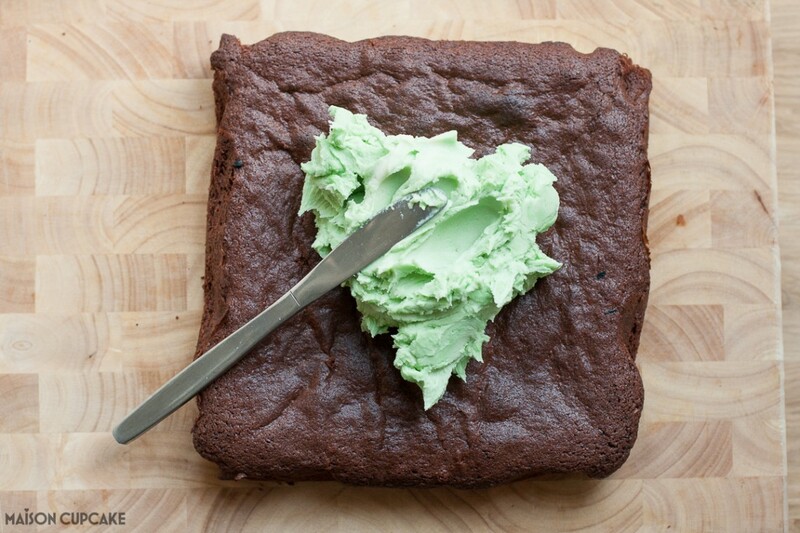 Avoid prolonged chilling as the paste will become too hard to mould. Set aside 12 White Chocolate Chips. Put the rest of the Chips in a small heatproof bowl and melt as above. Mix in 5 g (1 tsp) Liquid Glucose. Leave to cool as above. Meanwhile, put the butter in a bowl and beat until smooth and glossy. Gradually sift and beat in all the icing sugar until creamy and soft and add Vanilla Extract. Mix in the whole tube of Green Gel Food Colour. Thickly spread the icing on top of each cup cake, right to the edge. Divide the Milk Chocolate paste into 11 equal pieces, and form 9 portions into balls. Arrange the balls on top of the cake. Use the remaining portion of paste to make 9 pairs of bunny feet and leave aside on baking parchment. Set the one remaining ball aside to make feet, the other to make bunny poop pellets. 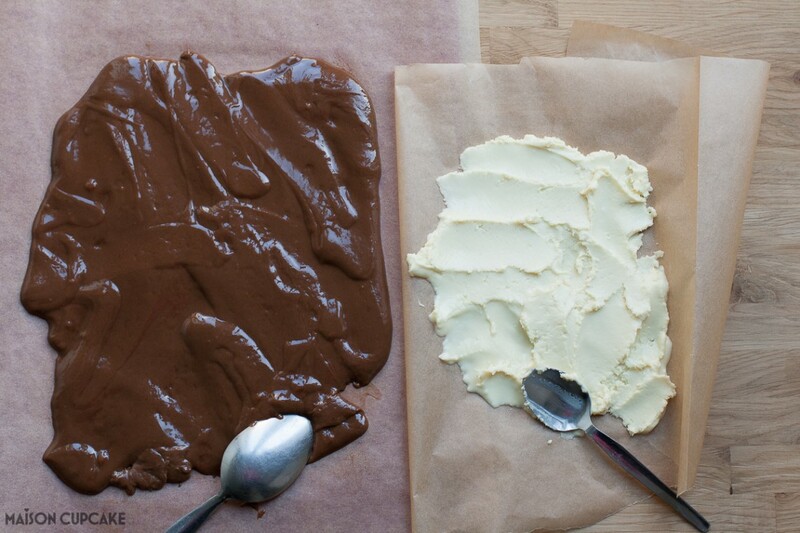 Divide the White Chocolate paste into 9 equal portions. Use to make 9 pairs of foot pads and press gently onto the feet. Score bunny toes with a small knife, then gently press onto the sides of the bunny bodies. Top each bunny body with one of the reserved White Chocolate Chips as a tail. Divide the white sugar paste in half and mix the balls with a little green and yellow gel food colour respectively. Cut leaves out of the green sugarpaste and blossom shapes out of the yellow. Arrange on the cake. Finally use the last ball of chocolate paste to roll those all important bunny poop pellets. Scatter on the cake and it’s now ready to serve and enjoy! 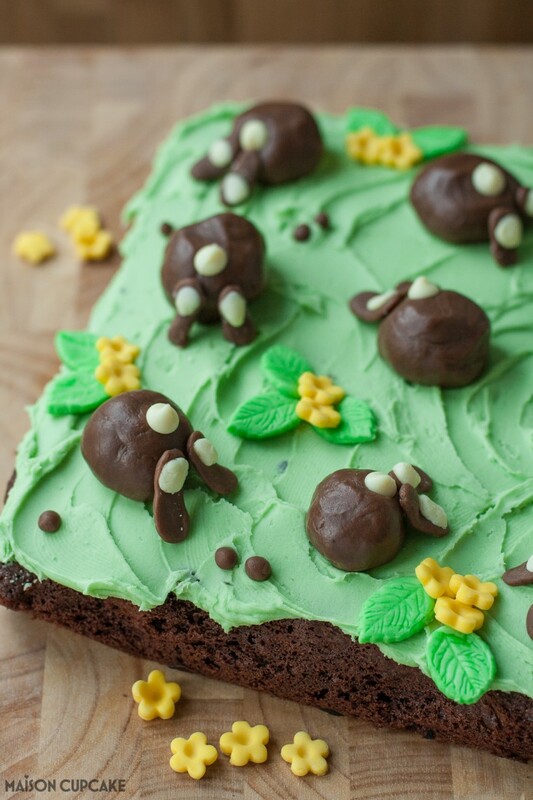 I am sending this Easter bunny bum cake to #BAKEoftheWEEK this week hosted by Helen at Casa Costello. I absolutely love this! Wish I had seen that giant bunny bum! 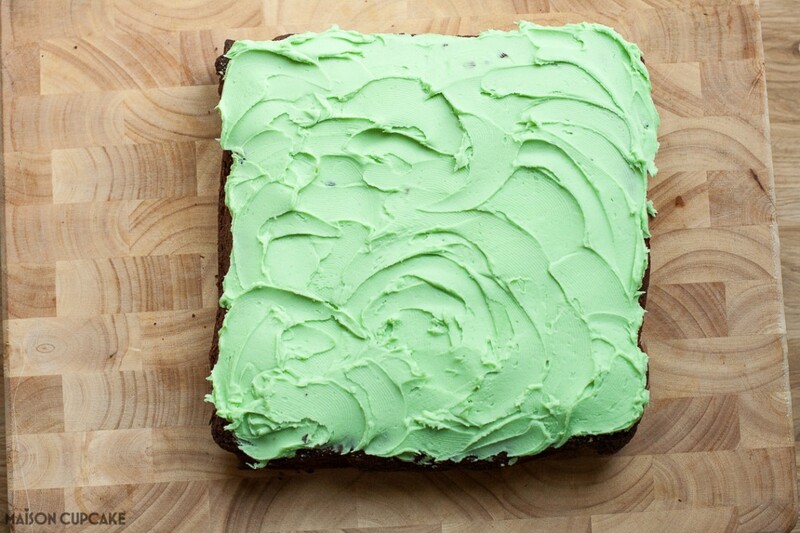 Love that green icing! It’s an adorable cake.